It was so tall that it looked like a tree. Wow! Ragweed! Funny story. 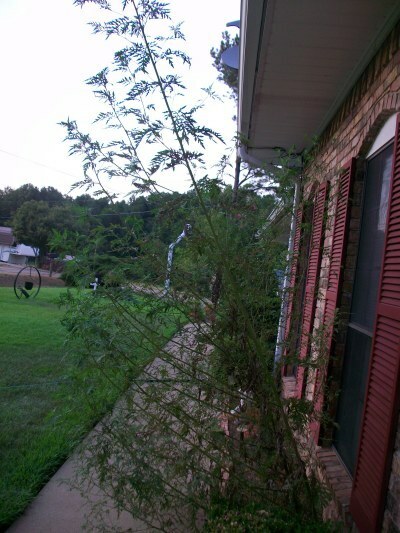 This has happened to us a couple of times, not Ragweed but forever undetermined something. We took it out for fear of what it could become, nightmare on Elm Street. 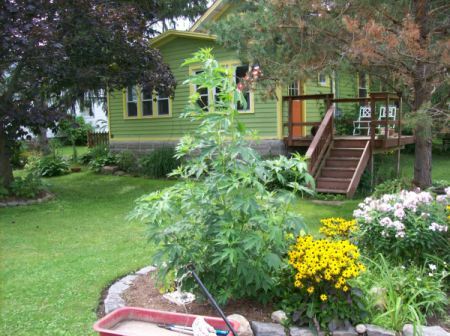 Keep cultivating all your good things, your yard looks great! We have one of these, with the heat and the drought we were glad to have something green growing! Ha, laugh is on us, it is over 8 feet tall and beginning to look ragged. It's coming down now! Thanks for sharing!